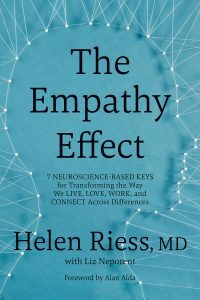 Portland, OR – Powell’s Books 2/20/2019 7:30PM Details..
San Francisco, CA – Book Passage 6:00PM 3/21/2019 Details..
Dr. Riess is a psychiatrist and Associate Professor of Psychiatry at Harvard Medical School and Director of the Empathy and Relational Science Program in the Department of Psychiatry at MGH. Dr. Riess has devoted her career to teaching and research in the neuroscience and art of the patient-doctor relationship. 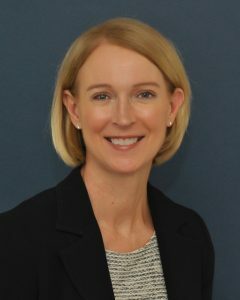 Dr. Riess’s empathy research, received the 2013 Partners Healthcare Medical Education Research Award, the 2013, Harvard Coaching Institute Research Award, and the 2015 SUNY Medical University Humanism in Medicine Lecture Award and The 2018 Gold Foundation for Humanism in Medicine Community Building Award. Her TEDx talk on “The Power of Empathy,” has been viewed by nearly 400,000 viewers. She is Co-Founder and Chief Scientific Officer of Empathetics Inc., a company that provides web-based empathy training and related relational skills solutions.